Styling On A Budget: New Accessories For Me! 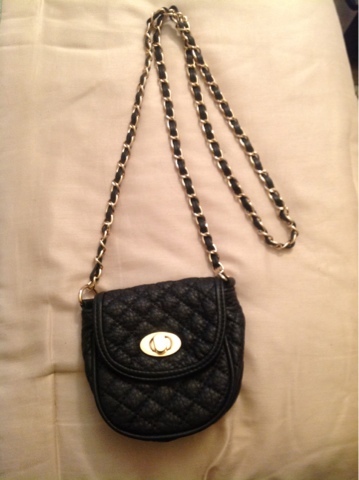 While shopping at Forever 21 the other day I found this cute black quilted crossbody. I'm in love with this faux leather bag. However, it's the perfect bag if you only want to carry a FEW things with you (ie: cell phone, lip gloss, and money). Only $17.80!